Curry or LeBron? Who Will Be Crowned 2016 Champion? Who Will Lay Claim to Title of NBA's Best Player? Curry or LeBron? Who Will Be Crowned 2016 Champion? Who Will Lay Claim to Title of NBA’s Best Player? Going all the way back to the beginning of the 2014-2015 regular season, there has been an interesting debate going on around the NBA. Which player would you rather have? Who’s the best player in the NBA? In 2014-2015, Curry broke the record for three-pointers in a season, was named MVP for the first time of his career, averaged 23.8 points per game, and won a championship. It’s impossible to discount what James did in the 2014-2015 season, too. LeBron led a team that started 19-20 to an amazing second half of basketball and carried the team all the way up to Game 6 of the NBA Finals on his shoulders. LeBron had arguably the best statistical series in NBA Finals history. The prevailing feeling after the 2015 Finals, particularly among Cleveland fans, was that LeBron deserved Finals MVP; LeBron was the best player on the court; and the Cavs would have won if they were healthy. We can debate that til the crows come home, but frankly it’s to no avail. The bottom line is that the Warriors won the title. Curry won the regular season MVP and the Cavs had a whole summer to work hard and prepare for their chance at revenge. In the 2015-2016 regular season, the Warriors were as close to perfect as any team in history. A record-breaking 73 wins; Curry broke his own three-point record by hitting 400 plus three-pointers and led the league in scoring, averaging 30 points per game. An argument could be made that Curry had the most improved season along with being named unanimous MVP. None of this takes away from LeBron’s great season either. It’s clear when LeBron is not on the floor how much he means to the team. But if people want to say the definition of “value” should be re-interpreted in the award process, then guys like James Harden and Damian Lillard would have just as legitimate claims as Curry and LeBron. Their supporting casts were far worse than what the two superstars have to work with heading into the Finals. There’s no doubt that if Lillard and Harden were taken off their respective teams, both of those teams would have been eliminated from playoff contention a month before the season ended. So are they more “valuable” than LeBron and Curry? Just because their supporting casts are poor? What matters is right here. Right now. The 2016 NBA Finals. Head-to-Head. Mano-y-Mano. Curry vs. LeBron. If LeBron wants to show why he’s the King, then losing three straight championship appearances would not exactly be fitting of a king. If Curry wants to prove that his team didn’t just win because of Cleveland’s injuries in 2015, it’s incumbent upon him to lead the way with his All-Star studded team and prove that the 73 wins weren’t all hype. LeBron has no excuses this year. Kevin Love and Kyrie Irving have played like All-Stars in the 2016 Playoffs. Curry and the Warriors have added one amazing chapter to the storybook after another, most recently coming back down 3-1 in the Western Conference Finals, having been written off by most. 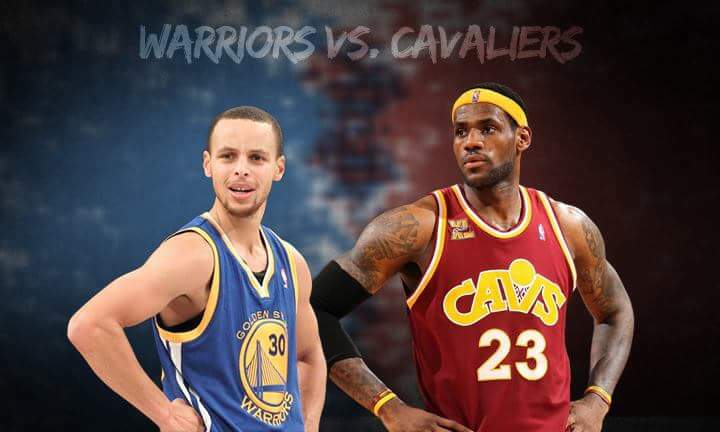 Whether LeBron or Curry admit this; whether they read into storylines like this or not; the 2016 NBA Finals comes down to the two best players on the two best teams in the NBA dueling head-to-head. Whoever wins wears the crown in 2016. As of right now, as much as it may pain Cavs fans to admit, Curry and the Warriors are defending champs, who have performed better on every level for the last two seasons. It is the job of the Cavaliers to dethrone them. If that comes off as “hating” on the Cavs, then there are plenty of other sources in Cleveland that will gladly lead the “Cavs in 6” chant. But for anyone to have the utmost certainty of what’s going to happen in a bout between two heavyweights is a bit naive. All that is for certain is that these two leaders are going to bring their “A” games. The performance of their supporting casts will make a big impact, but when it’s all said and done, whichever one gets the job done will rightfully claim the title of NBA’s best player. Maybe that doesn’t matter to either of them. Maybe all they care about is the team. But superstar players are self-aware of their legacies. LeBron is an unselfish player, but he knows the legends he is passing in the history of the game. Curry knows that what he and his team have done is unparalleled in the history of the game. Along with the exciting matchup of Golden State vs. Cleveland, the battle for who is the best basketball player born in Akron, and who is the best basketball player on the planet, will be almost just as interesting to watch as the rest of the pieces in the chess game. Some will disagree with this premise. There are fans in Oakland who will say Curry is the best regardless. There are fans in Cleveland who would never acknowledge any of Curry’s success and will go to their graves emphatically convinced that LeBron is the best player. But for the rest of us who don’t view the game through wine and gold or blue and gold lenses, this is going to be an awesome test. Perhaps the best thing about it is that once the 2016 Finals are over, whichever player loses will be even more fueled up to prove they rightfully belong on top next year. This Cavs-Warriors/LeBron-Curry saga has the potential to go on for years to come. Chapter 2: The 2016 NBA Finals starts tonight in Oakland.